Guide To Mountain Bike Helmets - What Type of MTB Helmet ? Guide To Mountain Bike Helmets - What Type of MTB Helmet ? WHAT TYPE OF MTB HELMET ? Single the most important piece of equipment, yet neglected by so many riders. Helmets can prevent 48% to 85% of cyclists’ head injuries, and no matter how uncool you think you look wearing one of them, it’s better to be uncool and still alive than die with the style. Let’s get real here, how many times you fell off the bike at the least expected moment ? Yes, It can happen anytime, to the best of the riders and on the easiest of the trails. Broken bones, torn ligaments, dislocated shoulder…You’ll probably get away with those and heal to ride yet again. But head ? Smallest knock on your skull can mean you might never…Yes, helmets do save lives, wear it. 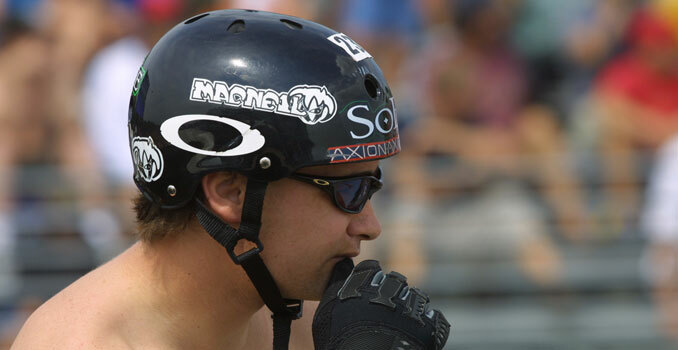 Full face, open, cross country, enduro, all-around mountain bike helmets – another dilemma. Although all of them do their job and must meet Consumer Product Safety Commission standards, they all will differ. 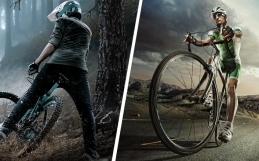 Different mountain biking helmets will have their advantages, disadvantages and will suit different riding styles. Let’s look at different MTB helmets and their intended uses. 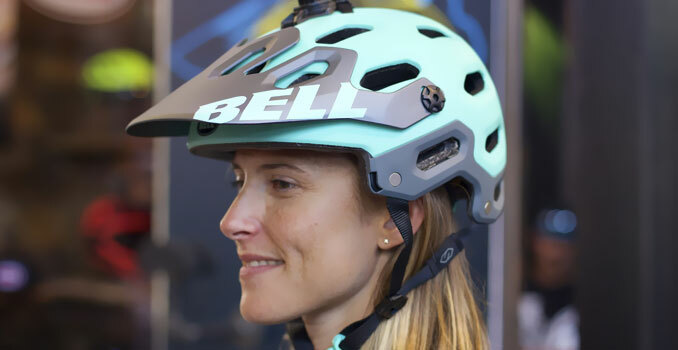 For many people, half-shell mountain bike helmets which are used in less aggressive cross country and trail riding, will look and make no difference to road cycling helmet. They both look similar, offer various designs and ventilation structures. A bike helmet is a bike helmet, right ? Well, not exactly. Despite being very similar to road bike helmets, open face mountain bike helmets used in the cross country riding have a few significant differences. Unlike very light and aerodynamic road bike helmets, open lids are bulkier, especially in back to protect your head from a backward fall. Many half-shell cross country helmets also have visors which serve to shield the eyes from the rain, mud and sun. Road helmets usually have no visor because it would impede the vision of a cyclist riding in the typical forward position on a road bike. The mountain bike riding position tends to be more upright, so visors don’t really interfere with the line of sight. Shell textures in mountain bike helmet vary too. It usually is rougher and flatter. Road bike helmet texture is always glossy, so in case of a high-speed accident, the helmet will rather slide over the pavement instead of catching it. They are slightly heavier and more protective. Features of an Enduro MTB helmet are designed for even rougher terrain and more aggressive nature of riding. One of the key elements that will separate enduro helmet from xc helmet is, even more, protection to the back of the head. 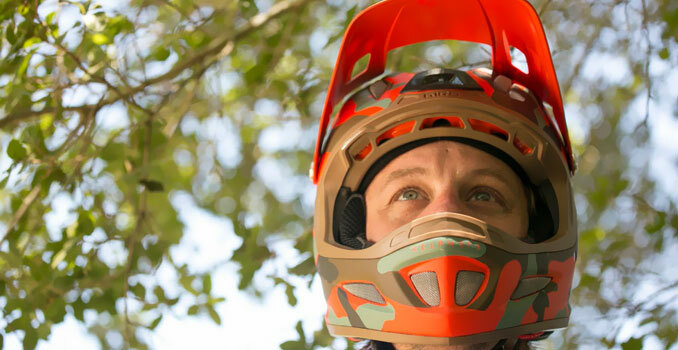 Enduro lids also have well-designed retention systems which keep the helmet securely in place. These kinds of open face mountain bike helmets also tend to have less open venting system. In theory, it minimizes the chance of rocks or sharp objects to get through. Full-face helmets will protect the entire head, chin and face. Unfortunately, with increasing the protection, ventilation features suffer. Although the modern designs of Enduro specific helmets are always evolving to improve this feature and offer more ventilation than typical full face downhill helmets, pedalling uphill might leave you hotter and more uncomfortable than usual. You can also choose one of the adaptable helmets which convert from a half face to a full face. Convertable MTB shell has removable chin bar and is a great option for someone who wants full protection on downhill sections and appreciates more comfort when climbing hills. This one will catch fashion boys’ eye. These are round half domes with a chin strap, kind of skateboarding helmets. They might look better than functional-ventilation lids, but usually are hotter, heavier, bulkier, offer poor ventilation features, and are not the best choice for proper mountain biking. 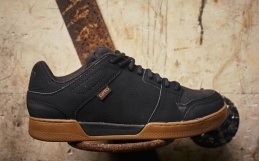 However, they still offer good enough protection against falling on ramps, bars and when trying tricks in biking parks. CAN I USE OTHER TYPES OF HELMETS FOR MOUNTAIN BIKING ? The short answer is NO!!! 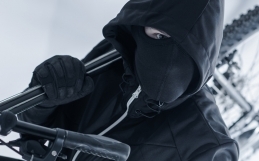 Helmets designed for skiing, kayaking, skateboarding or motorbiking should not be worn when cycling. The severity and kinds of impacts that these helmets are rated for will differ depending on their intended sport. 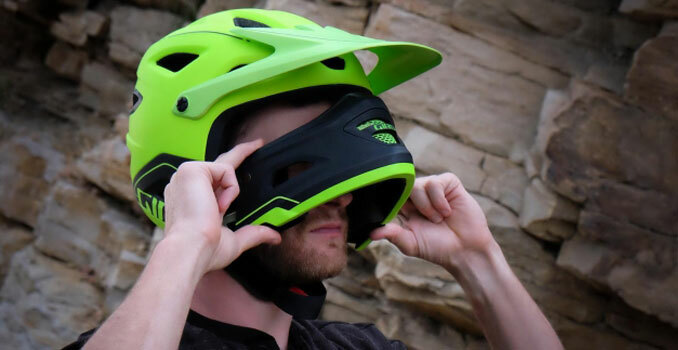 For example, one could think that using motocross helmet would offer even more protection while mountain biking because it’s designed for higher impacts. According to experts, it’s not the case. The helmet needs to deform on impact. This deformation distributes the energy away from the rider’s head and prevents injury. 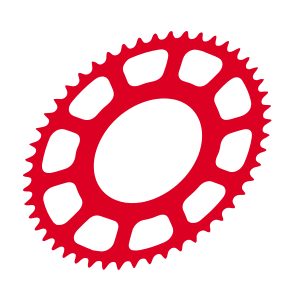 When using a motocross helmet in mountain biking, the impacts will likely be too low for the helmet to actually deform, therefore the energy will pass into the riders head. SO, WHAT MTB HELMET SHOULD I CHOOSE ? From the above post, you should easily figure out which kind of MTB helmet will suit your riding style. Riding style, types of the trail you ride, and level of your skills and confidence should be the main factors when making this decision. If it comes to choosing protection vs fashion, please use your head. We don’t need to mention that your helmet should be certified. But even then the price can make a difference between a momentary headache and concussion. 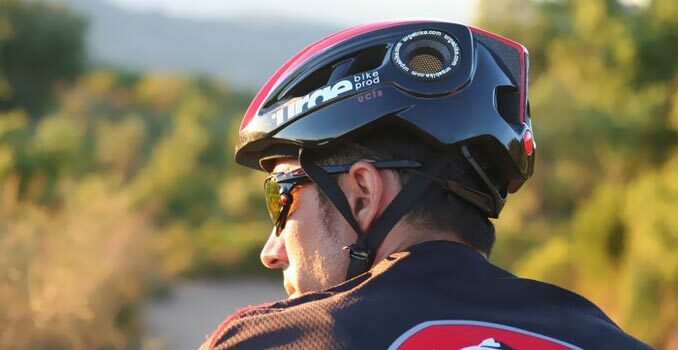 Although it’s true that many times you might pay more for more vents, lighter weight, and funky design, a quality proven superior MTB helmet will often offer better comfort and fit, more stability, good ventilation, superior materials, and crash-proof design that will last longer and keep you safer. So be wise here and pay more for better protection. WHEN SHOULD I CHANGE MY HELMET ? If your helmet hasn’t suffered any impact, you can keep it up to 5 years. Sun and sweat will surely weaken some parts of it. Otherwise, you should immediately replace it, even on the smallest of impacts. Damage might not be visible, but might be there. Better safe than sorry.